You know I love a good deal. The other day, we were near a Nordstrom Rack, and I remembered that I had a cash back deal on my card, so I just had to check it out. I walked out with five items and over $130 in savings. I got a UD eyeshadow palette, a Stila eyeshadow, and a pair of earrings. I actually didn’t even see that they had makeup until I was about to get in line to check out. Of course, I have no self control when it comes to discounted makeup. The UD palette I picked up is called the “Eyeshadow Ammo.” It has a couple of shades that are also in the Naked 1 and 2 palettes (Smog, Chopper, and Sin), but I really don’t mind that because they’re versatile shades that will probably run out first in my Naked palette. It also has some glittery shades, which I’m skeptical about because I don’t love glitter (or fallout); and some colorful shades, which I’m excited to play with. Luckily, the glittery shades don’t look too glittery on the skin. Oil Slick (black) and Polyester Bride (white) look like the worst offenders, and they felt gritter and less smooth to apply than UD eyeshadows are normally. Grifter and Maui Wowie look glittery in the pan but don’t seem too bad swatched out, but we’ll see. The other shades all have a metallic or satin finish with no glitter. The Stila shadow is one of the new Countless Color Pigments that look almost tie-dye. They had quite a range of them available, but I went for the one with the most neon rainbow so I could really see how these things work. Also, there were only a couple in this shade left, so it must be good, right? The shade is called Center Stage. The neon pink packaging was a nice surprise! I also love how compact this is. The directions say you can go for individual colors, mix a couple, or run your finger through all of them, just don’t use it wet. I really wasn’t sure what color I would get when I mixed it, so I had to play around with it a little bit. Mixed together, you get a beautiful purple-toned silver. I can’t wait to try this on the lid and get back to you on it. It seems handy to have so many shades in one compact, but I wonder how easy this is to use day-to-day. 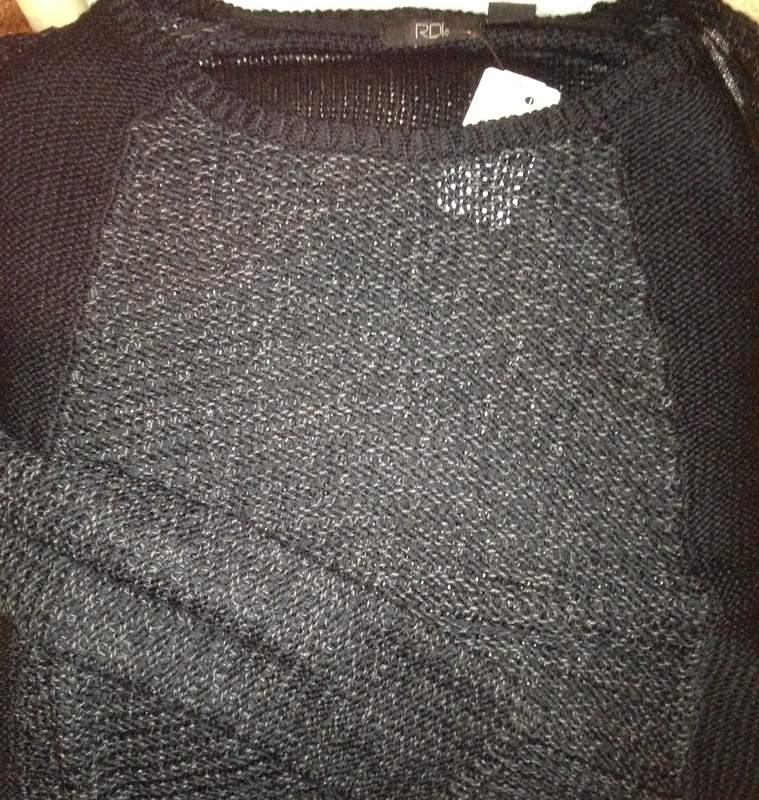 I also picked up some clothes, and both pieces are surprisingly…black. I’ve been trying to restock on sweaters, considering it’s not at all hot and summery out here in the Bay Area and Pittsburgh will be cooling up soon enough. I found this cute chunky-knit sweater with a high-low hem. It truly is black; the flash on my camera is making it seem grey. I wore it yesterday, and it’s super comfy. I got away with wearing it on its own all day, but it with a jacket over top it will definitely keep me a little warmer for fall, so I’m really excited for that. 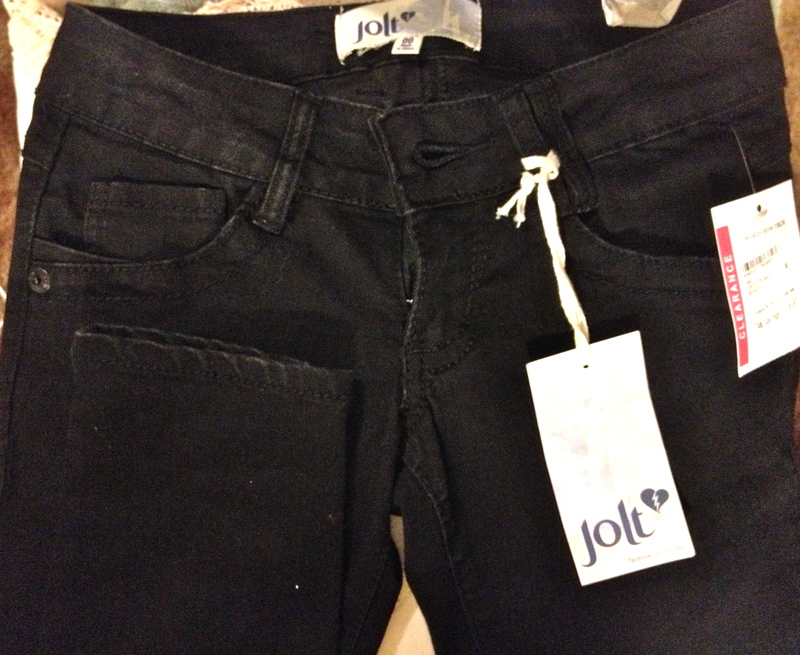 And then, no joke, black skinny jeans for $10. In my size. I am powerless to resist. I can’t believe I stopped myself at one pair. I hope you enjoyed seeing what I got at Nordstrom rack! I’ve found that right between seasons is the best time to score big at stores like that. Thanks for reading! Let me know if there’s anything you’d like to see a full review on. i recently went into a nordstrom rack while on vacation in portland and i went absolutely insane in the cosmetics department! they had such good deals, plus everything was tax free!! my sister got one of the stila eyeshadows like yours (except in a neutral brown mix) and she really likes it 🙂 great haul! Thanks so much! I didn’t see a neutral brown mix when I was there…but it’s probably better I didn’t 😉 Love great deals, it’s addicting.